Green North of Berlin – Lübars and Tegeler Fließ - Berlin erleben ! 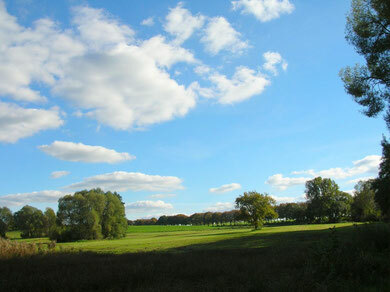 You do not believe still to be in Berlin when cruising through the green north of Berlin. We are going to discover the remainders of the last ice age along the Tegeler Fließ in this beautiful area. You will get to know, what has formed the landscape around Berlin in past times prior to human settlement: swamps, bogs, alder carrs, as well as a huge diversity of fauna and flora. A bike tour on the former border strip demonstrates the great variety of the landscape with beautiful views of the rural surroundings. 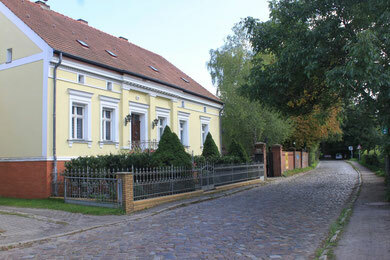 Lübars, located on our route, is a real village with the typical character of the “Mark Brandenburg”. Village school, village church, village pub, village fire brigade and some well preserved farm houses turn one back into a long distant past. But what was the “DoDo…”? We are looking back into the industrial period of Berlin and and its brickworks. Remainders resulting from this era are still visible at some particular places as well as some buildings made of bricks from these sources (located at different places). · Lübars, located on our route, is a real village with the typical character of the “Mark Brandenburg”. Village school, village church, village pub, village fire brigade and some well preserved farm houses turn one back into a long distant past. But what was the “DoDo…”?